DENVER — The federal government is stepping in to help fight crime in a Denver neighborhood. 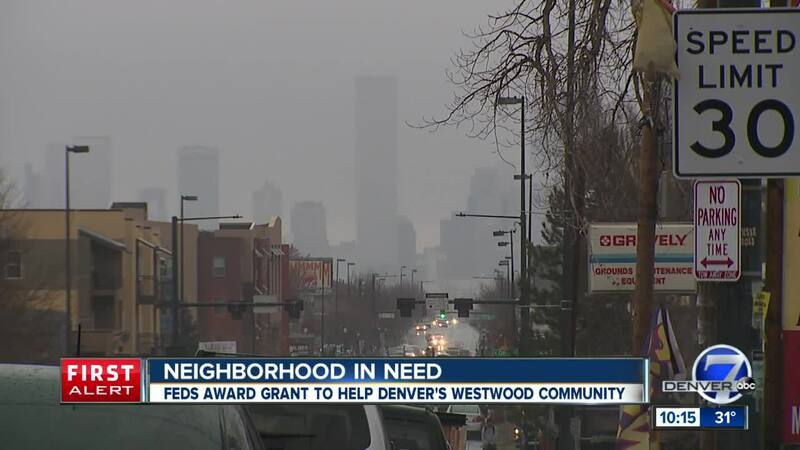 The Westwood neighborhood in southwest Denver has struggled with a higher rate of poverty and crime than the city as a whole. The Department of Justice has given the city a $1 million 3-year grant to not only reduce crime but to provide members of the community a chance to better their lives. Westwood, bordered by West Alameda Avenue to the north and South Sheridan and Federal boulevards to the west and east, has a little bit of everything -- good and bad. Sierra Moreno, a tattoo artist at Sol Maya Tattoos, might know it best. “Finding syringes in the parking lot and having to walk around, gloved up trying to pick up,” said Moreno. "It’s something that people from out of the state, that aren't part of the area, and they pretty much judge us all based off of that." She sees the rough side up close. But having grown up in the area, she also sees the beauty of the mix of cultures and diversity in the community. She hears the ways that violence and drugs tear holes in people's lives. And she's lived it. "One of my older sisters died from a drug overdose here in Denver," said Moreno. Now with news that police and city leaders plan to clean the area up, she hopes they listen as she has. "Hopefully with the fact the police are going to try and do something about trying to make it safe and more clean, hopefully it will get better for everybody," she said. According to a Denver Police Department spokesperson, police will be working closely with more than a handful of community partners, including Mi Casa and the Boys and Girls Club, to help businesses with crime prevention, community job training, youth gang prevention, crime education, to name a few.